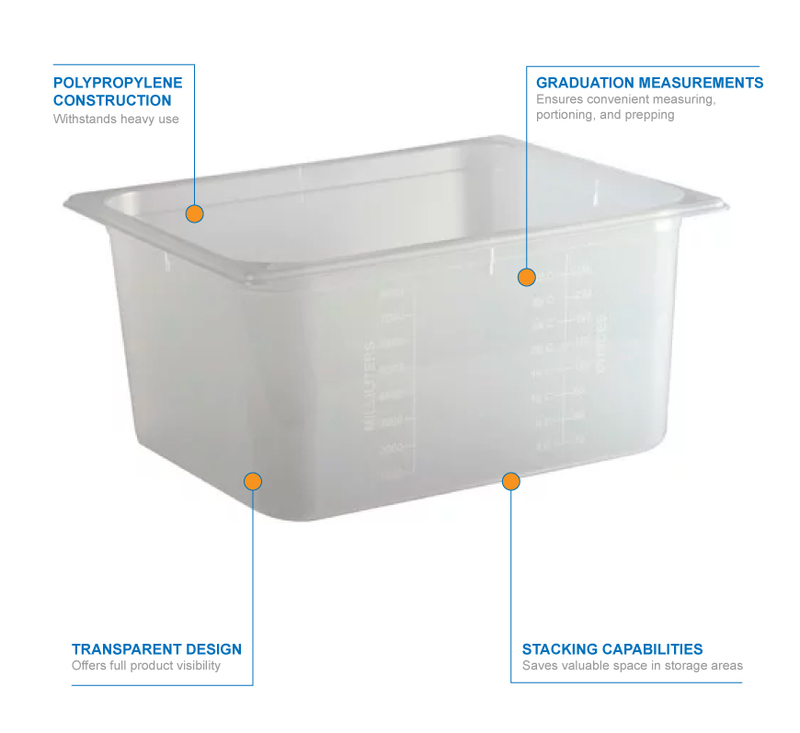 The San Jamar MPP12 ModPan™ half-size food pan has a 9-quart capacity with marks on both sides for measuring, portioning, and prepping. Since the pan is transparent, staff can see stored product to track inventory. 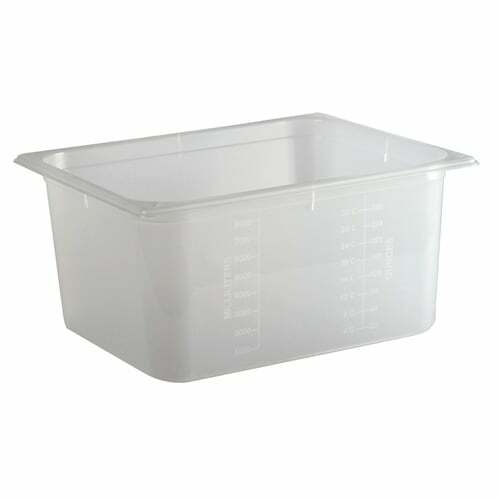 Resistant to stains and odors, the food pan is made of polypropylene, which is safe in dishwashers and microwaves. Get more information on pan sizes in the guide to food pan sizes.